A former sheep farmer is growing and harvesting daffodils in the Welsh Black Mountains to help Alzheimer’s patients. The daffodils contain a high amount of galantamine, a compound known to slow the progression of Alzheimer’s symptoms. And Powys-based bioresearch company, Agroceutical Products, is playing a role in the fight against the disease by harvesting Wales’ national flower. Established in 2012, the company is owned by former sheep farmer Kevin Stephens. 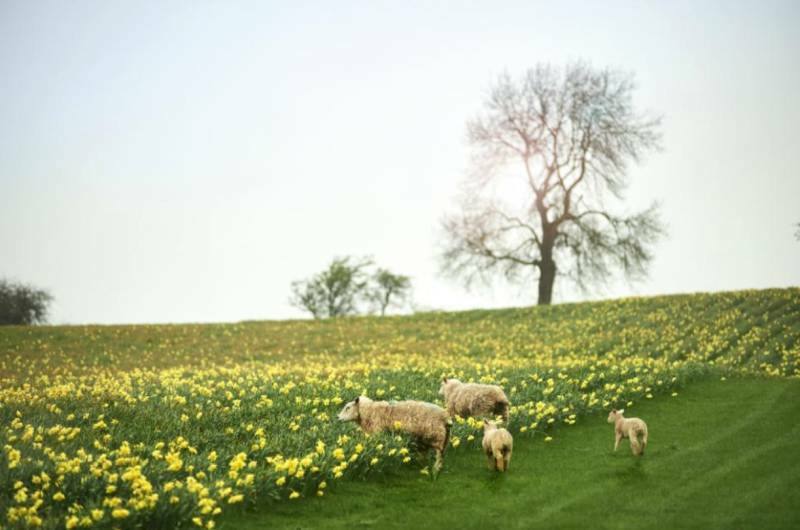 It grows daffodils 1,000 feet above sea level in the Black Mountains in Powys, which means they produce more galantamine than daffodils grown anywhere else due to the altitude. Once harvested, the daffodils are processed and supplied to pharmaceutical companies to be crystallised into prescription tablets and capsules. The company’s team of five produces 20 kilos of galantamine per year, helping over 9,000 Alzheimer’s patients across the world. Agroceutical Products currently exports to pharmaceutical companies in the US and Canada, and now has plans to enter the New Zealand market with support from the government's Department for International Trade (DIT). The company’s success is hailed by DIT at the start of the RHS Flower Show, Cardiff – showcasing the best of horticulture and demonstrating how gardens can benefit people's health and wellbeing. Kevin Stephens, co-founder of Agroceutical Products, said: “It's amazing to think that the Welsh national emblem, the humble daffodil, has the potential to improve the lives of Alzheimer’s patients across the world, while providing an economic future for hill farmers and their families across Wales.